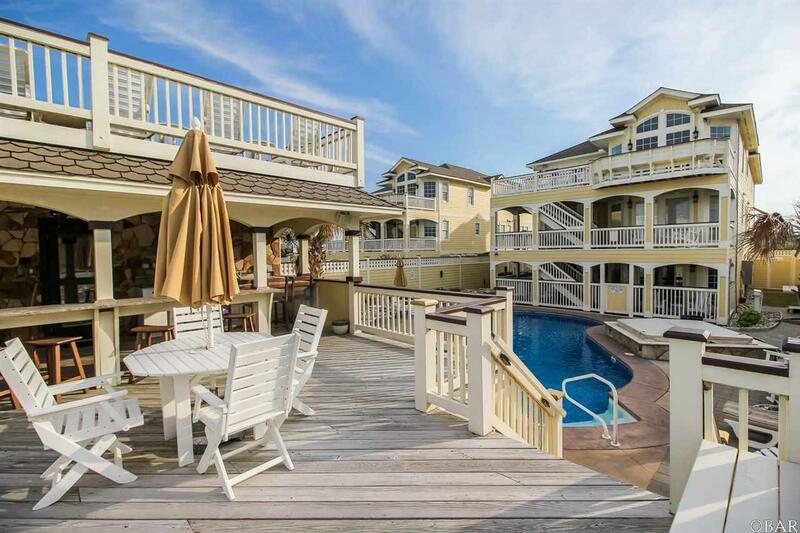 "Immaculate" Oceanfront home in the heart of Kill Devil Hills. The "Details" all pulled together which will make you say "This is absolutely AMAZING, it's Perfect". "Grand Luxxe" is an Oceanfront investment property that generates tremendous income and does not require additional funds to "Get it Right". This Exclusive Luxury home has been truly cared for with extremely "Hands On" owners and it shows in all the details. From the Fixtures and D'cor to the professionally pavered pool area complete with putting green. 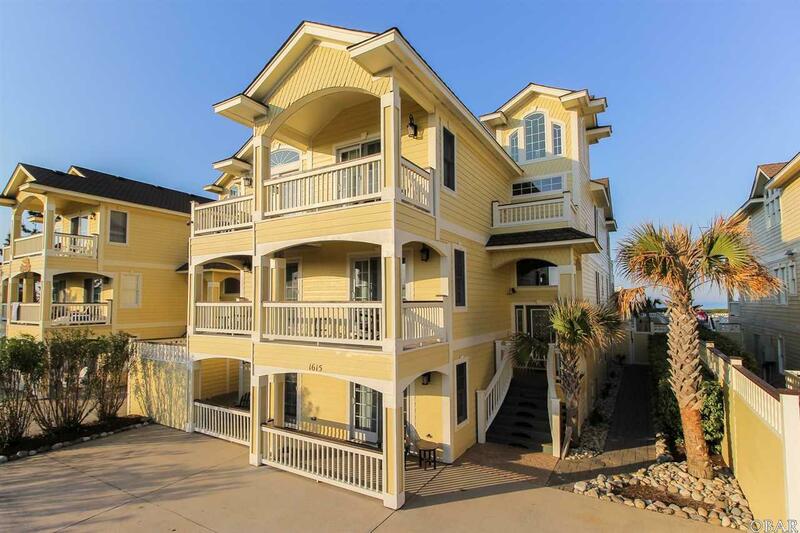 This is by far one of the most well maintained oceanfront properties I have seen. "Grand Luxxe" is the truest sense of the word "Resort". There is plenty to do thoughout this expansive property. Love spending time by the pool area or just socializing? 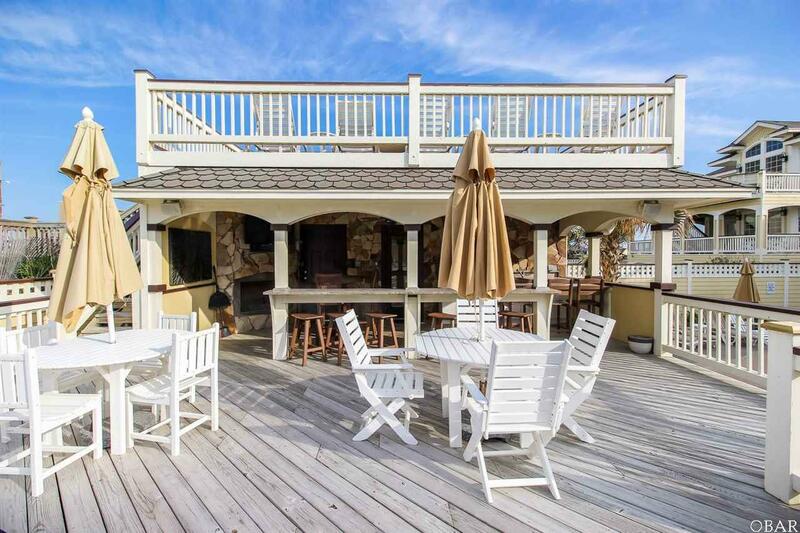 A massive sundeck to enjoy great conversation and beverage of choice with beautiful ocean views and the melodic sound of waves crashing on the beach only steps away. 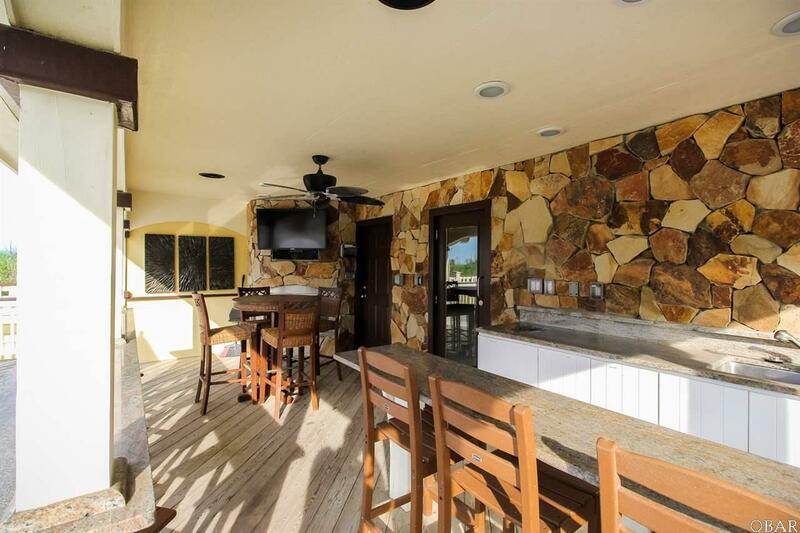 Under the sundeck and next to the "heated pool" is a covered entertainment area with an outdoor sports bar with TV, kitchette and bathroom for perfect convenience. If you happen to walk past the pool and hot tub and need a break indoors you will find a large game room complete with Shuffleboards and Pool table. Well equipped with a full wet bar and TV its the perfect indoor area to enjoy a game on TV and play some competitive games. For the movie enthusiast "Grand Luxxe" offers a complete theater room with reclining leather theater seats and professionally installed electronics. The top floor is a totally open area with unobstructed ocean views. Large family gathering is what vacation is all about and the kitchen in "Grand Luxxe" has plenty of room to work for all the "Chefs" in the family. "Grand Luxxe" has too much to offer in such a limited space. Make it a point to find out more about this truly unique property.